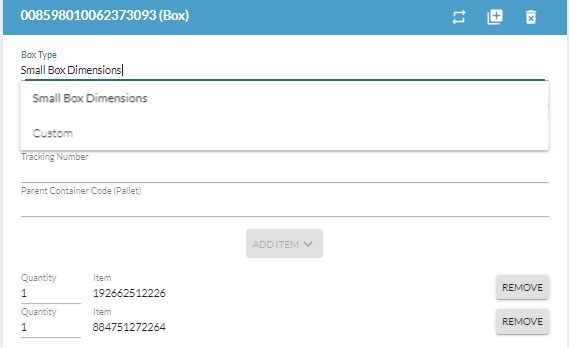 Logicbroker now gives you the ability to save Box dimensions so that you do not have to fill them out each time when creating a shipment. 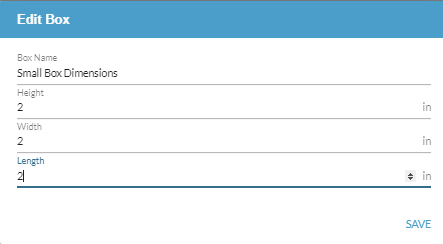 You simply set it up one time and then those dimensions will be available to you within a drop down when creating a shipment within the portal. You may also save multiple dimensions depending on the type of box you are packing. 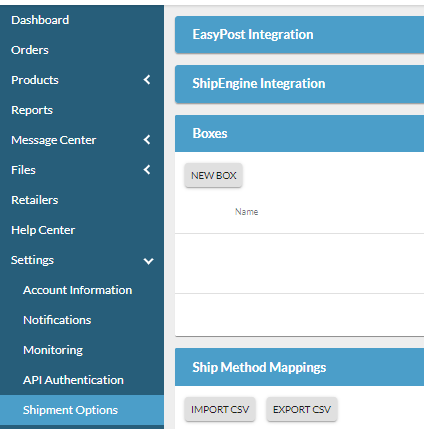 When you are ready to create a shipment you will see that on Box Type it will show Custom but if you click in the field it will show a drop down of your saved boxes from you to choose from. Once you choose your box the saved dimensions will populate it. From there you would create the rest of the shipment as you normally would. *Note: You may Edit or Delete a box at any time within the shipment options page.